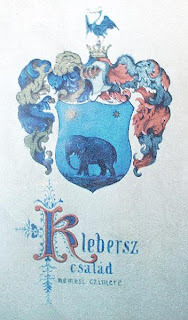 This website was begun with an article about the genealogical relations between the Klebercz and the Elefanthy families; in those inexperienced days I also placed the title of the essay to be the url of the website – which it remains to this day. You can read this essay here. And for additional heraldic material, here. In it I mentioned that the Elefanthy became extinct in the 17th century; a belief begun in 19th century Hungarian genealogy. The most important and revolutionary book ever written about the medieval Hungarian nobility, by Erik Fugedi, took the Elefanthy as its focus and it, also, assumed that this family died out in the 17th century. A more recent study of the Nitra county nobility published the discovery that a line thought to be extinct in the 15th century survived until at least the 17th – but the historian’s researches ended there. All the published genealogical sources maintained that this family died out – so my shock and surprise was great when, after a relatively simple search through parish records, it became clear that the noble Elefanthy survived in their ancient seat until at least the late 19th century. What is doubly shocking is that a noble family of this exceptional standing can be so easily ‘forgotten’, and attests to the pitfalls of relying on the writings of professional historians, who with a single stroke of the pen often write out the fates of living individuals. I traced intermittently the Elefanthy in Nitra from the 18th century, but since the records are difficult to read I will not reproduce them here. 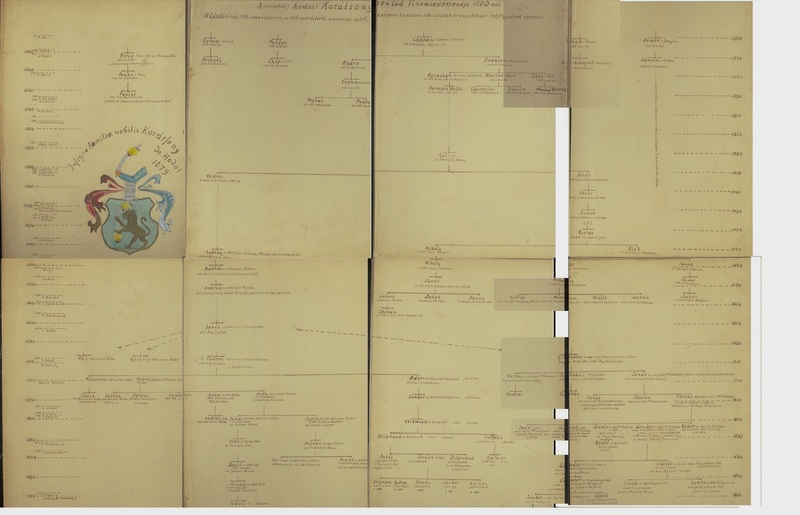 Instead, I will pick up from the early 19th century – where I managed to reconstruct a family tree of the Elefanthy of Elefant from 1815 to 1875. Francis Elefanti, a military captain, baptized his son George in Stropkov in 1815. He is certainly the Ferenc Elefanty who wrote a book entitled "Hungary in 1848" (published in Budapest in 1848), recollecting events during those revolutionary days. Because of his involvement in the Revolution, he emigrated to London, where he was private tutor to his distant kinsman Alexander Apponyi, later famous for donating his exceptional library to the Hungarian nation. 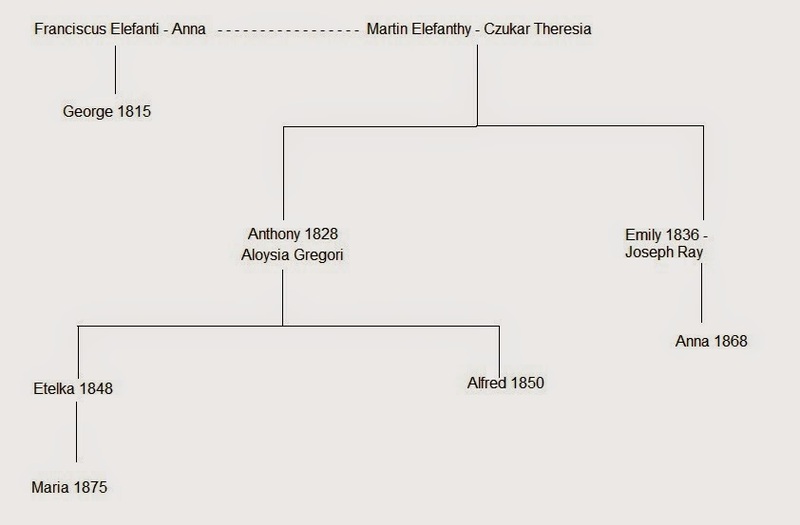 I assume that Francis may be the brother of Martin Elefanthy; his line were noble landowners in Preselany (Pereszleny), an estate adjacent to the villages of Upper and Lower Elefanth, the medieval cradle of this family. 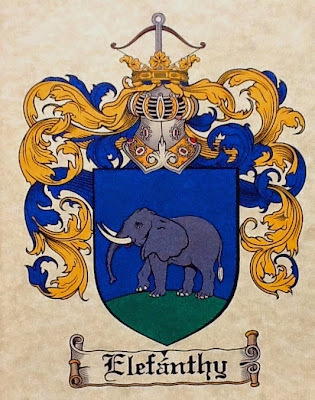 It is worth noting, however, that Preselany was a royal donation to the Elefanthy family in as early as the 13th century, along with many other estates in Bratislava county. Martin had a son, Anthony, born in 1828, and a daughter, Emilia, born in 1836. This Emilia was in fact baptized in the church of Upper Elefanth, where the family was living at the time, or perhaps went to baptize their child in their old former lands. Emilia later married Joseph Ray, a nobleman, lawyer and later judge in Nitra county. The brother, Anthony, married Aloysia Gregory and in 1848 baptised their first child, Etelka, again in the parish church of Preselany. The family then moved to Trnava (Nagyszombat), an old free city in Bratislava county, and in 1850 had a son, Alfred. Etelka seems to have had an interesting life, for in 1875 she gave birth to an illegitimate child, baptized Mary. Their uncle and aunt Joseph Ray and Emilia Elephanty were the godparents. It should be mentioned also that the family members are all identified as ‘noble’, living in or near the old estates, and having as godparents the most illustrious and wealthy nobles of the county (Jezerniczky, Majthenyi, Ocskay, etc). The Jezerniczky, out of interest, actually owned the Elefanthy family castle in Lefantovce for quite some time in the 19th century. Both Anthony and Martin Elefanthy of Pereszleny are on a 1847 register of the nobility of Nyitra County. So the idea of some ‘fraudulent’ Elefantys is out of the question. It also accords with the otherwise paradoxical existence of Alexander Elefanthy of Elefanth (1822 - 1896) (szentjanosi es elefanti Elefanthy Sandor), who held the important post of mayor of Jaszbereny in the late 19th century. Official biographies all confirm his descent from the noble Elefanthy, a branch of which came from Nitra to Jasz county in the 18th century. The Elefanthy can also be traced to Bratislava county, in the 17th and 18th centuries. For instance, in 1679 in Trnava again Ladislas Szegedy, a local nobleman, was the husband of Elizabeth Elephanty. As a matter of fact, that same page in the parish record mentions Andrew Klebercz, who was married to Elizabeth Maylath. This is rather a coincidence but does furnish proof of their close ties. 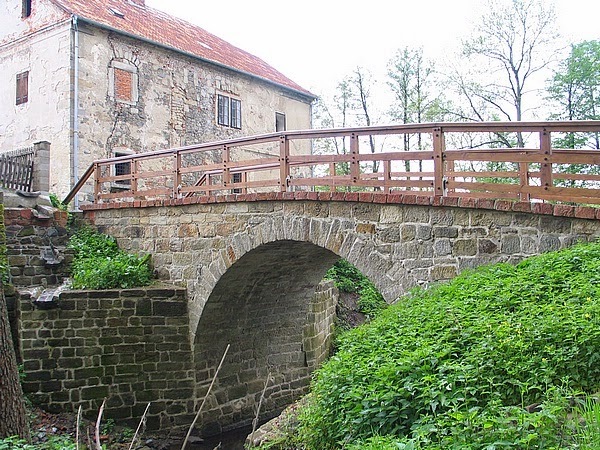 During the end of the 17th and beginning of the 18th centuries, Tomasov (Fel), a village in the Senec district and thus adjacent to the Klebercz properties, a Catharina Elefanty lived with her husband Michael Ravasz and had several children. The Ravasz were also local landowning nobility living in Fel. All this demonstrates that, in today’s world, private research often yields unexpected results and unearth surprising discoveries. Hopefully this could be an example to many private genealogists worldwide. The local historian Ferenc Cseplo romantically called Réthe as a “bastion and a shelter”. This village, later called Réte in Hungarian and Reca in Slovak, was indeed something of a beacon for Protestants, Hussites, Brethren, Calvinists, and generally those who did not share the Catholicism of the absolute rulers of the House of Habsburg. By the 17th century, most of the Hungarian nobility was Protestant; the individualism and particularism that reformed faith offered was compatible with Hungarian notions of freedom of conscience and personal will. A small number remained Catholic, and these few families later went on to reap the rewards and became the image of the wealthy magnate. In the 1680s, however, the absolutist Emperor Leopold banned all protestant churches in Hungary, with the exception of certain places. Réthe was chosen as one of only two of these ‘articular’ places in Bratislava County, no doubt a great triumph for the local nobility. From then on, the village became a kind of centre for Protestantism in the region. An important part of Protestant history in Hungary was the uprising of Francis Rakoczi II, Prince of Transylvania and Hungary, in the early 18th century. Uniquely, the Réthe nobility formed a hussar unit in support of the uprising, led by their colonel Gyorgy Réthey. This last, and most famous, uprising naturally failed, and thus the Hungarian nobility sunk even further into obscurity. Probably the most intriguing aspect of Réthe and its Protestant past was its sheltering of religious exiles from Bohemia and Moravia. After the Battle of the White Mountain in 1620, the old kingdom of the Bohemian crown soon became a Catholic absolutism. The original Czech nobility, mostly Protestant (either Lutheran, or Calvinist, or one of the ancient Czech sects), was forced to either convert or be sent into exile and completely expropriated. The majority chose exile and expropriation. About 30 families of this origin settled in Réthe, and as all exiles they were miserably poor and wretched. Most were Moravian Brethren, who were descendants of the originally medieval Hussites. One such immigrant family is however noteworthy since it, to some degree of success, blended into the local Hungarian nobility. The Pomichal family has its ancient origins in the German duchy of Pomerania. In the 14th century, the Order of the Teutonic Knights granted estates and land to the family of Hirsch von Pomeiske. They seem to have been a typical knightly family, keeping order in the pagan Prussian provinces – they had to provide two mounted knights to the Order. 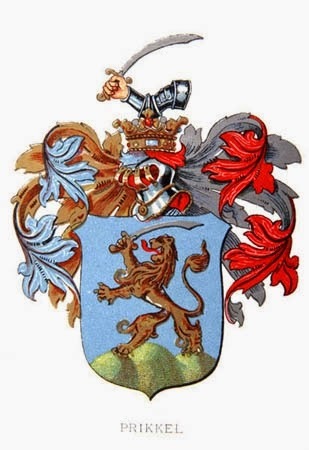 The family coat of arms was the ancient clan arms of Hirsch uber schach, a blazon worn in altered form by many of the oldest Pomeranian noble lines. Later on the family dropped the Hirsch, and one of its members, Nikolaus Alexander von Pomeiske, was a cavalry general under Frederick the Great in the 18th century. However, in the late Middle Ages, a branch moved to the Bohemian crown lands; their predicate became garbled, and they became known as Hirsch von Pomischel or Pomyschel (which means to ‘blend’ or to ‘think’ in Czech and Polish, and eventually it ceased to be a predicate but a surname). Indeed, in 1616 the brothers Paul and Isaac Hirsch of Pomischel received a confirmation of their arms by the Emperor Rudolf in Prague. 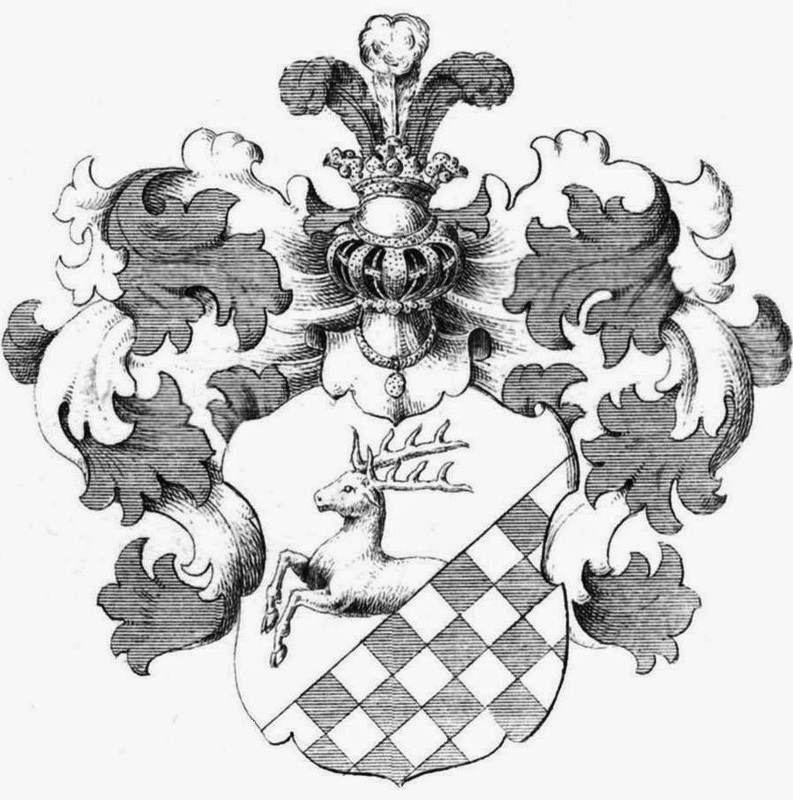 The Hirsch uber schach arms are carved into the 17th century tomb of a member of the Pomischel family in Markvartice, of which they were landowners. One of the extant (out of the four) medieval manors of Markvartice. One of these belonged to Gottfried Leopold Hirsch von Pomischel auf Freudenberg (now urban part of Markvartice), which he inherited from the ancient Luttitz and Hofer von Lobenstein families. In 1614, Elias Hirsch von Pomischel is recorded as being the captain of Reichstatt (today Zakupy), a large fortress and base of the powerful Protestant Czech magnates the Berka of Dube. During the 30 years war, in 1632, the fortress was lost to Catholics and the Berka were banished from the kingdom, presumably along with their retainers and captains. It was presumably then that the family name warped into ‘Pomykal’ or ‘Pomikal’, as the modern commercial arms image shows. The family spent many yearsin the region of Skalicza in Hungary, near the Czech border, apart from the royal towns also in the largest community of Czech exiles in Sobotiste. In the late 18th century, Janos Pomikal settled in Rethe. 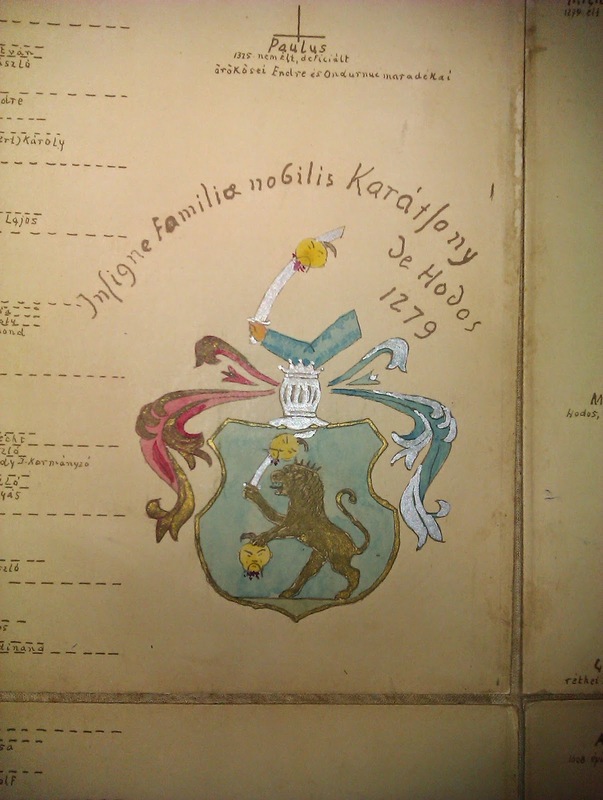 From the available family tree, it is clear that members relatively quickly became well-off: all three sons of Janos Pomikal, who lived in the late 18th and early 19th centuries, married into noble Hungarian families; one to the Cseh of Reca, and two sons to the Klebercz of Reca families. More interestingly, during the first half of the 19th century the family eventually changed their surname to Pomichal; since ‘ch’ is unknown in the Hungarian language, the only explanation is that there was an attempt to revert to the earlier diction. A branch in Rethe inherited and adopted a coat of arms with the elephant (from the Klebercz family) and the lion. Through marriage and land ownership, the Pomichals became Hungarian nobles in their own right – though probably without any confirmation of this from the Habsburg king, making their position permanently precarious. A very smart 19th century rendition of the Prikkel coat of arms. The armed lion was the symbol of the medieval nobles of Reca, descended from the castle knights of the early Arpad times. This armed lion has survived as the heraldic emblem of a few Reca noble families, though almost every noble family who owned land, lived and married in Reca for a significant period of time was in some way or other related to this medieval origin. The Urbanovics (Urbanovits) were an ancient family of Bratislava county, whose nobility was confirmed in 1591 by Emperor Rudolf in Prague. Miklos Urbanovics, the addressee of the confirmation, was probably in Prague as part of the retinue of Prince Stephen Bocskay of Transylvania and Royal Hungary.The Urbanovics coat of arms is interesting for its motif of a raven with a ring in its beak, very similar to that of the Hunyadi family, whose most famous member Matthias Corvinus (The Raven) was King of Hungary. The family became the most notable family in Sárfő, today's Blatne, north of Senec in Bratislava County. Andreas Urbanovics was one of the county judges for many years in the 17th century. 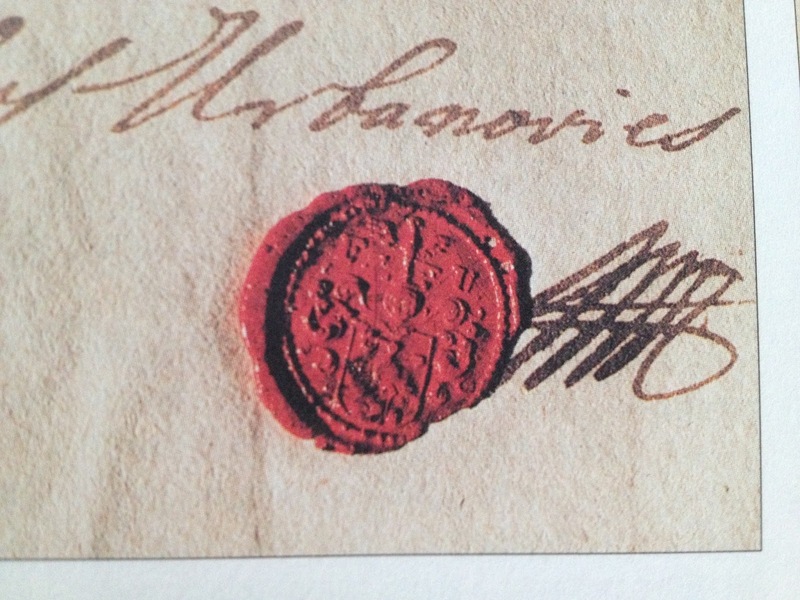 In the 18th century, Paul Urbanovics was a prosperous nobleman, who became postmaster of Sarfo, was confirmed in his nobility in 1765 again by Empress Maria Therese, and who left a large sum to the church to create a foundation for masses. 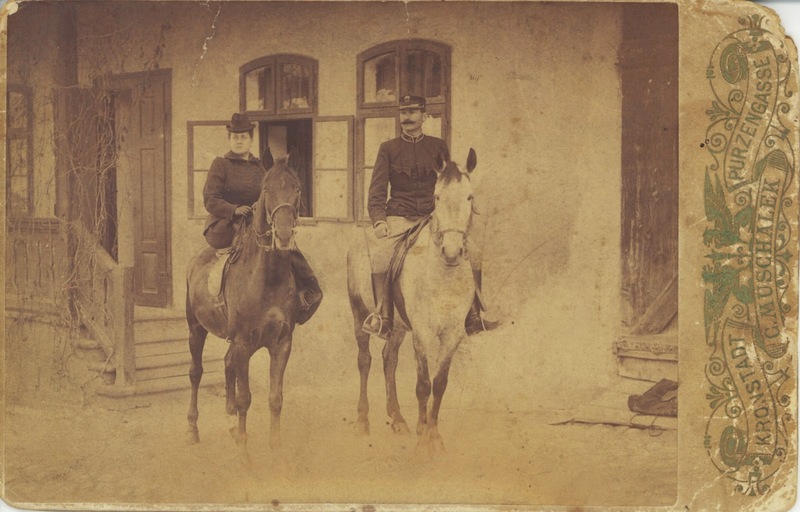 In the 19th century, many members of this family became officers with both the infantry and the cavalry in the Austro-Hungarian armies. One of the most prominent was Aloysius von Urbanovits, Captain of the Royal Hungarian Lifeguards, the most elite personal guard of the Emperor. Being a captain in this unit carried the same honours as being a colonel in the regular army. 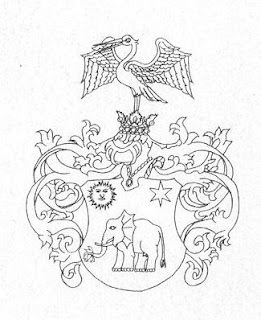 Above is an image of the Elefanthy family coats of arms, redrawn and published in Peter Kerestes' recent scholarly volume on the ancient nobility of Nitra County (2010). The image is based on two wax seals, one pressed by Emericus Elefanthy (around 1580 - 1593), the other by Valentinus Elefanthy in 1634. Older literature interpreted the crest as a palm tree, while it is currently thought to be a crossbow. 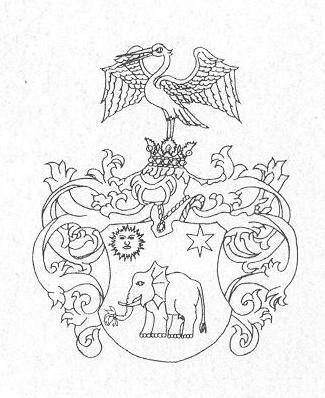 The shape of the crest was retained in the stork crest of the Klebercz family, most probably descendants of the Upper Lefantovce branch of the family (this branch was thought to have been extinct by Fugedi by 1472, but Kerestes in his publication corrects this and states that this, the other main branch of the Elefanthy, in reality survived until the 17th century). The stork crest is probably a later interpretation of the original Elefanthy crest, to distinguish different branches and still keep the familiar shape, because a stork with outstretched wings is very rare in Hungarian heraldry. This ancient family, often written as Vitalis, or Vitalyos, has its roots in the 13th century, as cadets of the lords of Szász. Szasz was a village in the Csallokoz in Bratislava County, and is now part of the small town of Lehnice (itself called Légh in the original Hungarian). Nicolaus of Szasz, the direct ancestor of the Vitals, even received a grant of arms in 1416, from Emperor Sigismund of Luxembourg, King of Hungary. This makes the family as one of the first in Hungary to have received a grant of arms. In the 15th and 16th centuries, the Vital family was rich and powerful. In the mid-16th century, Janos Vital married Prisca Leghy de Legh, this uniting itself with the wealthy medieval lords of Legh. Their son was Andras I. Vital, who was a King's Man (hominus regis). He managed to enter the high aristocracy by marrying Margit Nyary of Bedegh, whose family were amongst the very first hereditary barons (or magnates) of Hungary. In the 17th century, the Vitals owned the early Renaissance castle of Laskar (picture below). The castle, rebuilt several times during the centuries, was finally demolished in the 20th century. 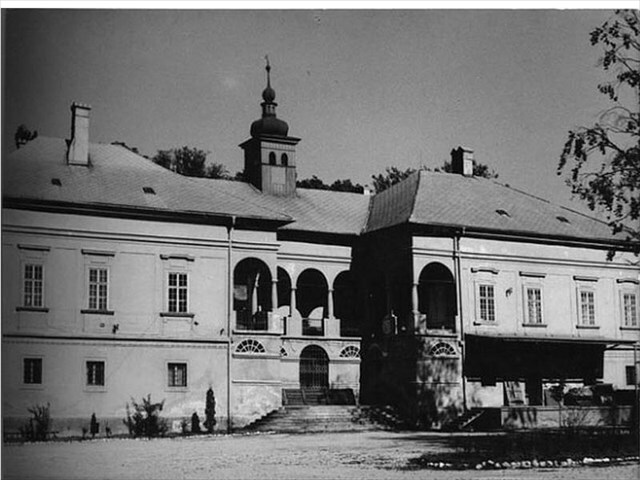 After the 17th century, the family never regained the position they attained previously, and they "sunk" into local landowning nobility of Bratislava County, who did not tend to own castles but only smaller and medium-sized manor houses. In recent times, of note was Gabor Vital of Magyar Bel, who was a honved during the 1848 revolutions.